Kochi has welcomed a lot of people from many parts of the state especially due to its incredible growth in job sector and infrastructure development. When you are looking for new luxury flats in Kochi, Vyttila will be one of the best options as it is said to be one of the fastest growing areas in the city of Kochi. Vyttila is home for the Vyttila Mobility Hub, which converges different modes of surface transport (namely, local as well as long distance buses, rail, Metro Rail and inland water transport) to the city of Kochi onto a single node. 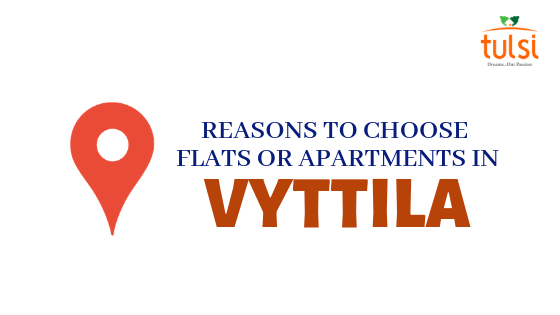 Having apartments in Vyttila will ensure that you live in close range of city limits yet keeping a healthy distance from the crowded city. Vyttila is home to hospitals like the EMC, Welcare Hospital and the Mother and Child Hospital. The State Bank of India, State Bank of Travancore, Punjab National Bank, Corporation Bank, Vijaya Bank, Bank of Baroda, Federal Bank, South Indian Bank all have branches in this area. Toc H Public School, St. Rita’s H.S Ponnurunni, C.K.C.L.P.S are schools located in Vyttila. Places of worship like Sree Narayaneshwaram Temple, Vytilla Siva Subramonia Temple, St. Patrick’s Church, Chalikavattom Juma Masjid, Sreekrishna Temple etc. also are major attractions for someone looking for luxury flats in Kochi. 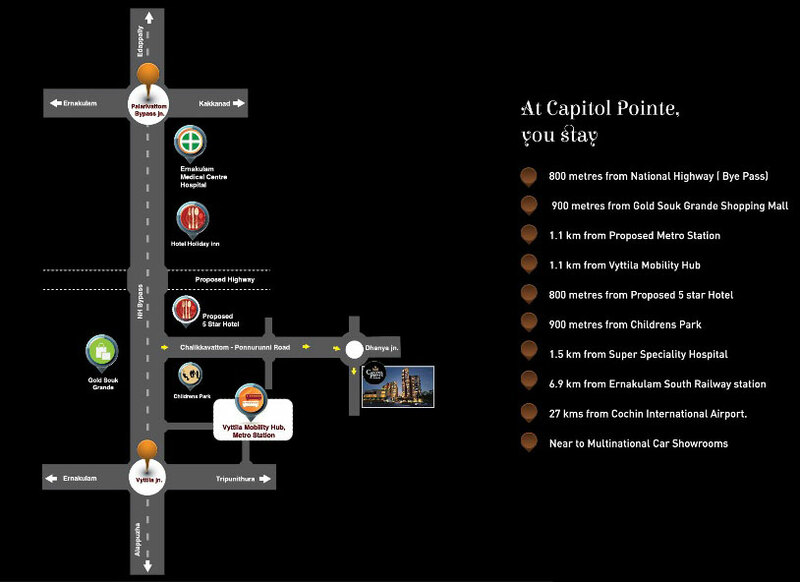 The Kochi’s best home builder Tulsi Developers – Tulsi Capitol Pointe being built at Vyttila Opp Goldsouk Shopping Mall – Kochi. 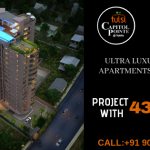 Tulsi Capitol Pointe is one of the best ultra-luxury apartment in Kochi, located in the heart of the city, close to the Mobility Hub and other important locations, this would be an investment you would cherish for the rest of your life. The 3 BHK Apartments with No common Wall Sharing ranging from 1616-1842 sq.ft with world class amenities. 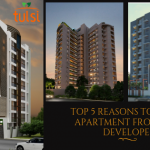 Tulsi Developers presenting you our new Sky Villa Apartments with 56 luxury 3 BHK apartments that fit most dwellers admirably. 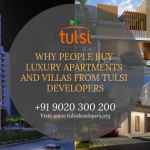 If you are looking to buy an apartment in kochi with luxury amenities, come to Tulsi Developers and visit our sample apartment which is all set for the home seekers so as to make a wise decision on buying it. 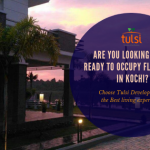 Are You Looking For A Ready To Occupy Flat/Villa In Kochi? Next Post: Tripunithura Can Be the Next Real Estate Hotspot?